Danie is a pioneer of noble white wines in South Africa and has also introduced superior red cultivars to the Robertson Wine Valley. De Wet’s wines express the uniqueness of the soils of De Wetshof and meticulous attention to detail, while state-of-the-art technology ensures that the work in the cellar complements the gifts of nature’s vineyards. 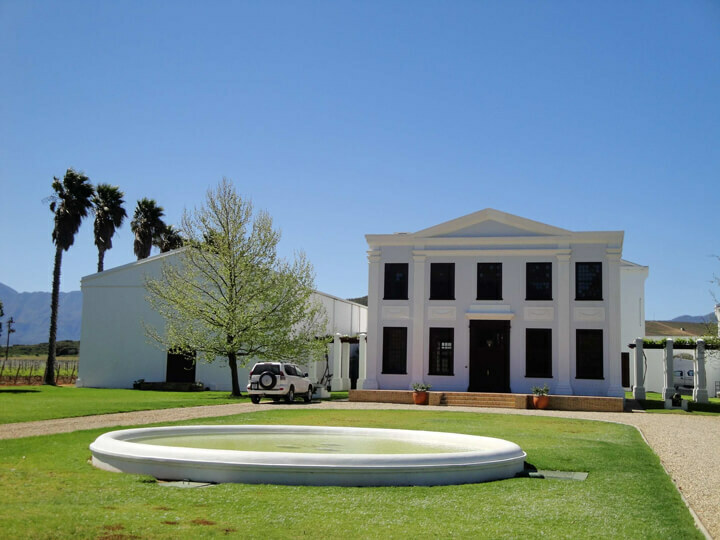 With its crisp white buildings, rose bushes and jacaranda trees, the Estate has become a well-known landmark in the Robertson wine valley.